Rice is a much-loved grain not just in India but in many other parts of the world too, such as China and Mexico. 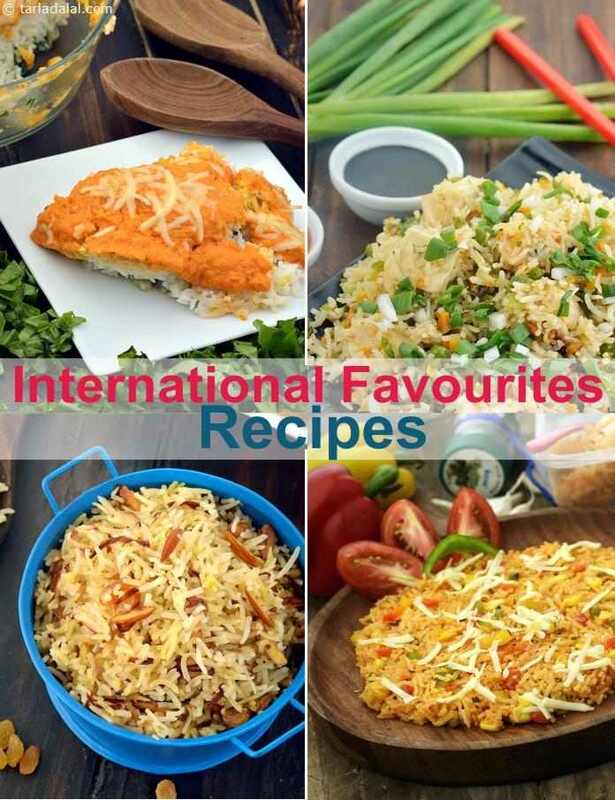 Here, we have brought together a collection of rice recipes from varies cuisines like Mexican, American, French and Italian. Mexican Rice , French Casserole and Brown Rice Risotto are some of the must-try options. Spinach and carrot layered with rice. . . . . This recipe is doing wonders for eyes and hair with its high vitamin a, calcium and iron content. Vermicelli is used extensively in Lebanese cooking to make both sweet and savoury dishes. The same recipe can be converted into a sweet by cooking the rice with milk and little sugar. This Cheesy Baked Rice with Vegetables is surely a big hit for parties. Rice cooked in butter gives a very nice taste and aroma to this recipe. Vegetables with rice and cheese baked to perfection is definately a filling meal.